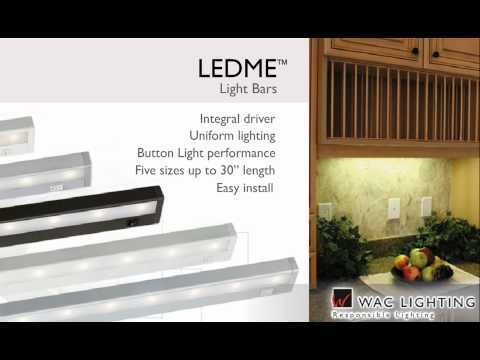 WAC Lighting Responsible Lighting® LEDme® Collection BA-LED Light bar employs 10 13.1-Watt LED lamps with average life of 70000 hours to deliver light of brightness 721 Lumens. LED Lamp has color rendering index of 85, efficacy of 55 LPW and color temperature of 3000K. It has voltage rating of 120-Volt AC and power rating 131-Watts. 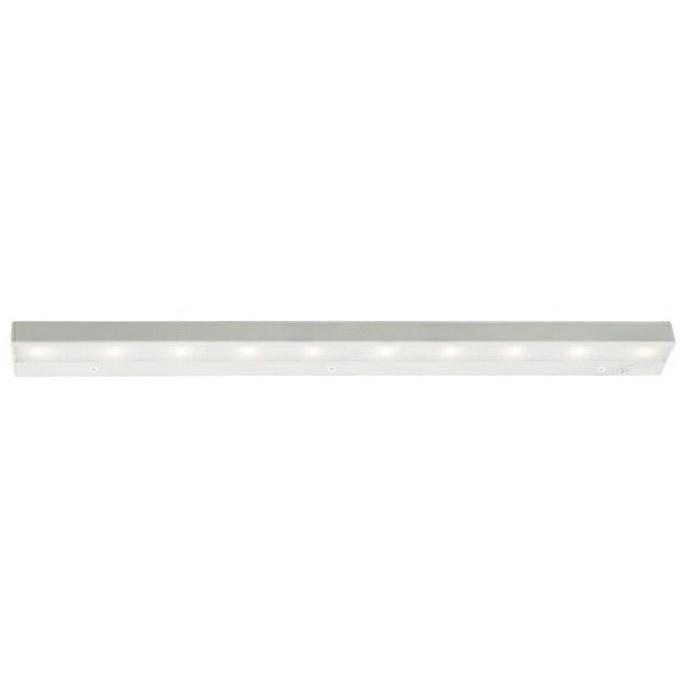 True 1-Inch profile light bar in white finish, has extruded aluminum construction for optimal thermal management and acrylic lens shade for superior lighting performance. Dimmable light bar measures 30-Inch x 1-Inch x 2-3/4-Inch. It has integral driver for reliable performance and supports surface mounting for making installation easy. It comes with one I-connector for seamless interconnection between two light bars. Light bar is UL and cUL listed.